THE FUTURE LOOKS BRIGHT! 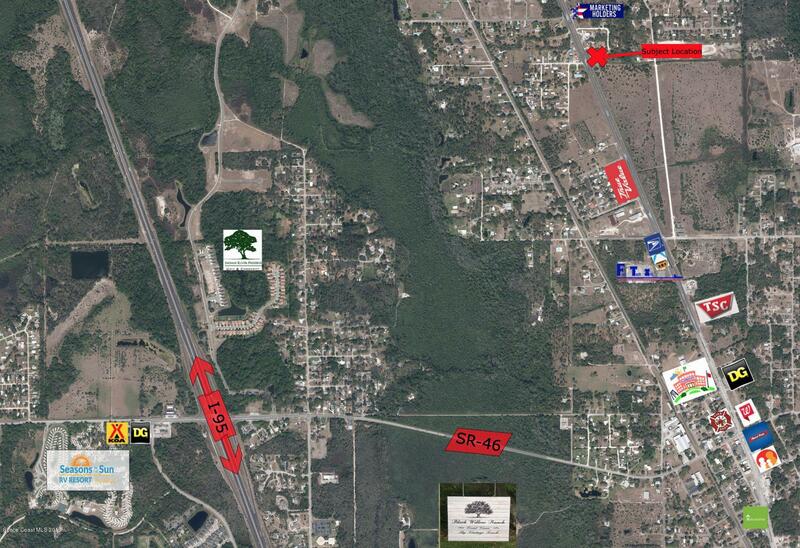 This commercial site offers just over 2 acres of direct US Highway 1 frontage that is very heavily travelled and spans approximately 365' feet along the northbound lane. Directly across from this property there is a median crossover allowing easy access to this property from both directions. County water is available at this site, however it is not connected to county utilities at this time. There has been a lot of new construction within the past few years such as; Walgreens, Dollar General, Family Dollar, RaceTrac, Tractor Supply, TrueValue, and Frisbee's to name a few. Very easy access to I-95 and a short commute to Orlando, Cocoa, Daytona, and other surrounding cities. It just might be the best investment you'll ever make.